Home / Decorating / Quartzite versus soapstone counters: how do they differ? 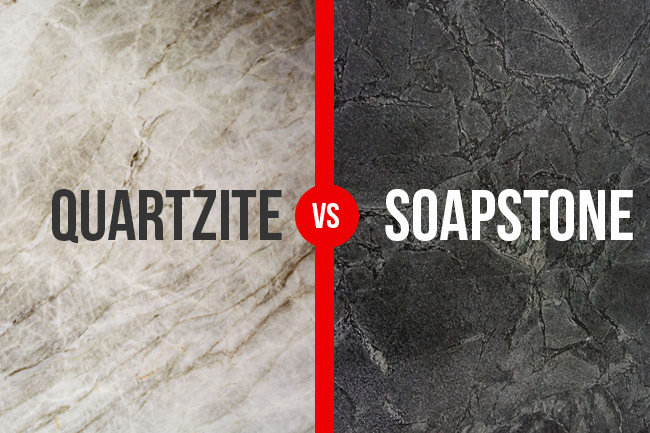 Quartzite versus soapstone counters: how do they differ? Natural stone counters make a beautiful statement in any kitchen, laundry room, hobby space, and more, and they are just as functional as they are stunning for performing a variety of tasks. They also have a long lifespan, which makes them a great investment. Quartzite and soapstone countertops add an especially rare look to your space and are also quickly becoming two of the most preferred choices of many homeowners for their look and durability. However, when it comes to their qualities and benefits, just exactly how do they measure up against each other? Well, let’s take a look. Quartzite, not to be confused with quartz, is a non-foliated metamorphic rock found naturally within the earth. It is formed when tectonic plates in the earth’s crust press firmly against each other, causing strong heat and force. It can be found in many areas throughout the U.S. and has been used by humans to make various tools for over a million years. Once the rock mass is excavated from the earth, it is then cut into huge thick pieces of stone, which upon request, are then precision cut to the exact measurements of your counter. The top of the counters are burnished and sealed prior to sale for a stunning high-gloss finish and added strength. This non-foliated metamorphic rock is generally only found in gray or white; however, due to the iron oxide in the stone, it is not uncommon to occasionally find red or pink hues in it, mainly in the streaks. Various other minerals present in the stone can also affect its color, sometimes resulting in green, yellow, orange, and blue hues, especially in the streaks. Quartzite is one of the hardest stones, so it quite durable. It also withstands heat very well. However, due to its degree of hardness, it’s also more prone to denting and chipping. Fortunately, these imperfections can be repaired by buffing the indentation and then filling it with a sealant. Or, you can protect the surface by using a cutting board when using sharp objects. Though it is less porous than other stones, it requires lots of care to maintain its beauty and durability. For instance, it must be sealed prior to use and then resealed about once or twice a year to prevent stains. Once it is properly sealed, it also makes it easy to clean with just soap and water. Soapstone is also found naturally in the earth and has been around for more than one million years. It is mainly found in Brazil, China, and Finland; however, there is also American soapstone, which is sourced from the Application mountain region. This stone is also mined and then sent to a factory, where it is cut into huge slabs, which is later precisely cut into countertops. Soapstone is comprised mostly of dolomite, chlorite, magnesite, and talc, which gives it its soft, soapy feel and look, and it is available in various shades of gray from light gray to greenish-gray and even blackish-grey. It also contains varying degrees of veining, including light veins and large veins, as well as varying degrees of quartz flecks, which gives each slab its own uniqueness. These counters also darken over time and can also be wiped with a natural oil, such as mineral oil, to darken the color and bring out the vein details for added character. This stone is typically softer than other stones due to its high talc content, which makes it more susceptible to scratches and nicks. However, there are some grades that contain significantly less talc, which make them hard enough to serve as a durable counter top. It is also nonporous, so it is totally resistant to just about any type of chemical as well as bacteria growth and various weather elements, which makes it great for use as an outdoor counter or a lab counter. 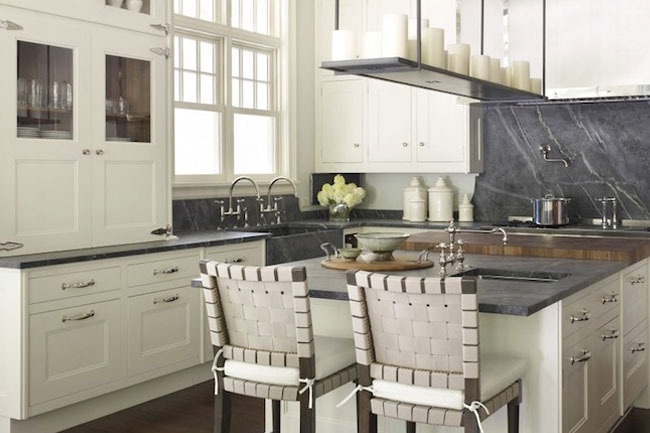 Since it is completely nonporous, soapstone requires less maintenance than other countertops, such as quartzite, which requires regular sealing in order to maintain it. Soap stone, on the other hand, requires no sealing, and it can also withstand high heat like harder stones, which means a hot pan can be placed directly onto it, and more. Also, because it is a softer stone, it is more prone to scratches, but these imperfections can be removed with simple sandpaper and grinding to restore its smoothness. The material prices are about the same for both natural stone countertops, which range between $60- $105 per square foot. However, as the job becomes more complex, the more the cost of each material will increase. For instance, because quartzite is so hard, it needs to be cut using diamond blades, which requires special skill and additional time; therefore, it will factor into the cost. The desired density of the material as well as where you live will also factor into the cost because if the material is scarce in that area, it will cost more to have it transported. 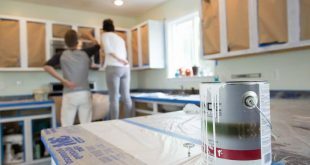 If you plan to have the countertop professionally installed, it will also factor into the final cost, depending on where you live because labor prices vary from area to area. Furthermore, the more complex the countertop configuration the higher the cost, and any elaborate fabrications will also impact the final cost. In the end, both quartzite and soapstone provide eye-catching additions to your space, which is sure to improve the look of any area. However, when it comes to choosing between the two; there are a few things you should consider to help you make the best choice for you, the first being the style and design of your kitchen. For instance, while both quartzite and soapstone may compliment lighter toned kitchens, soapstone may not fare well in darker kitchens as it can make it appear gloomy or drab. You should also determine if you want a counter top that is easy to maintain or one that requires a bit more maintenance. 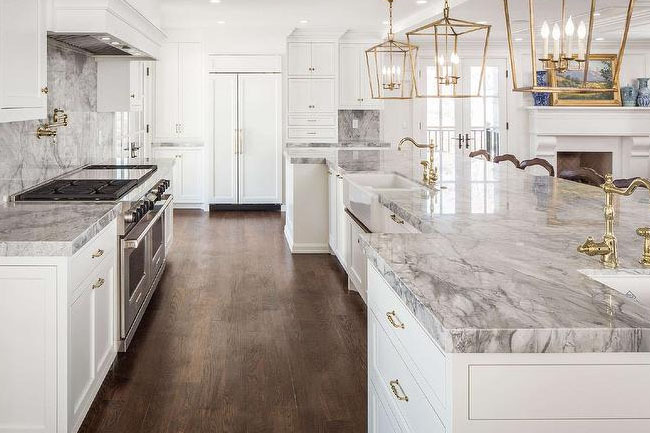 For instance, quartzite countertops, though highly preferred for their extreme durability, need to be sealed once prior to use and then again at least one or two times annually to maintain its natural beauty, while soapstone, which is nonporous, does not. However, soapstone is also softer than quartzite, so it more prone to scratches, which means it may require sanding and buffing it each time scratches appear in order to maintain its smooth surface. You should also keep in mind that though the cost of both materials are about the same, complex details will cause the cost of each material to increase non-equivalently; however, because installing a new counter top is a long-lasting investment, it may be worth it for a great countertop that lasts for years to come. If you have more questions and concerns regarding natural stone counters, don’t hesitate to consult with your interior designer or the manufacturer who will provide you with more information as well as assist you in selecting the best counter type for your situation, so you make a more confident choice. Previous Hurricane in the Forecast. Do You Know What to Do?